Mad Scientist obsession never stops, even after the formulation has been created. HI-RES is that obsession manifested, as we search endlessly to get closer… to create a perception of hop resin that’s even more complete. We’ve spent the last year dialing in HI-RES with laser focus. We wanted the brew to be even juicier this year, with a bigger aroma, cleaner bitterness and better clarity. There’s the key element to true hop obsession – beyond hophead into something nuts, like hop-zombie territory – a never-ending commitment to the essence of the hop cone. With massive amounts of late-addition, new-age hops, HI-RES magnifies juicy hop character to the limits of human perception, testing the palate’s very ability to comprehend the tiny particles in hops, and the incredible flavors they produce. Think of HI-RES as both micro and macro… zooming in on hops’ tiny lupulin glands while balancing the complex flavors of malt body with massive doses of hop juice. 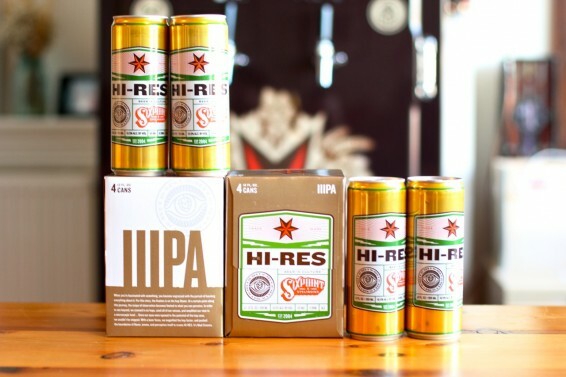 Keep your eyes wide for HI-RES on the Sixpoint Mobile Beerfinder app, on draft and in 4-packs. Savor the formulation for yourself, and drop us a line on Twitter or Instagram to let us know how it’s tasting.